The Seattle Supersonics franchise (the city still owns the Sonics name as well as color scheme) has a great fan base that have been in mourning since owner Clay Bennett moved the franchise to Oklahoma City in 2009. There has always been hope that the NBA would award another franchise to the proud fanbase whose only championship was the 1979 NBA Title and with recent rumors swirling about the Sacramento Kings leaving California, one of the potential destinations is the Emerald City. 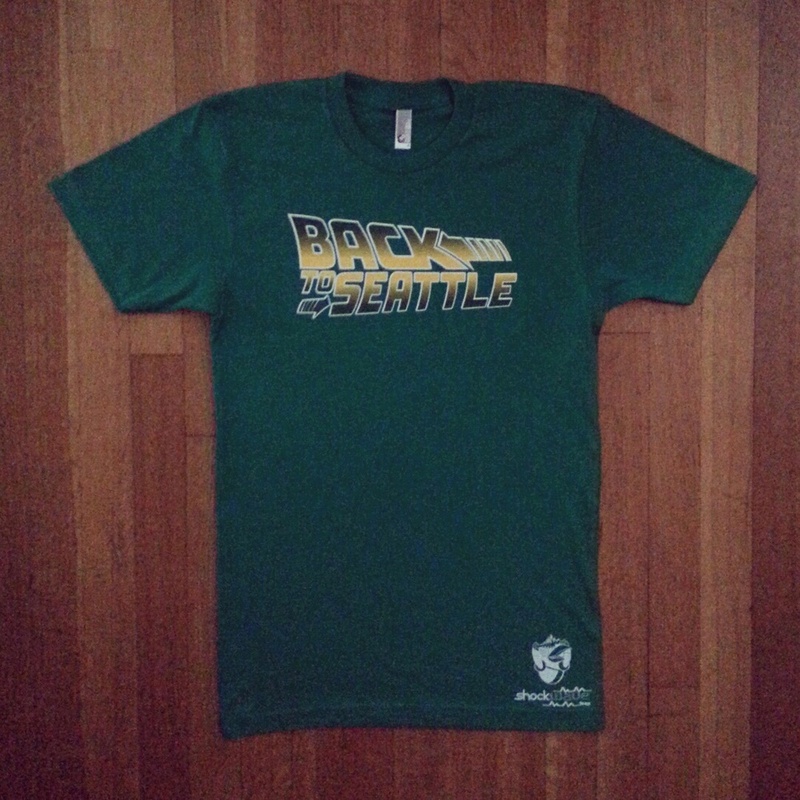 Shockwavetees.com is a web store established by two Sonics fans who worked for the organization for 4 years untl the team moved, and they are leading the charge to keep the hope alive of maybe a NBA franchise returning to the Seattle for Sonics fans everywhere. 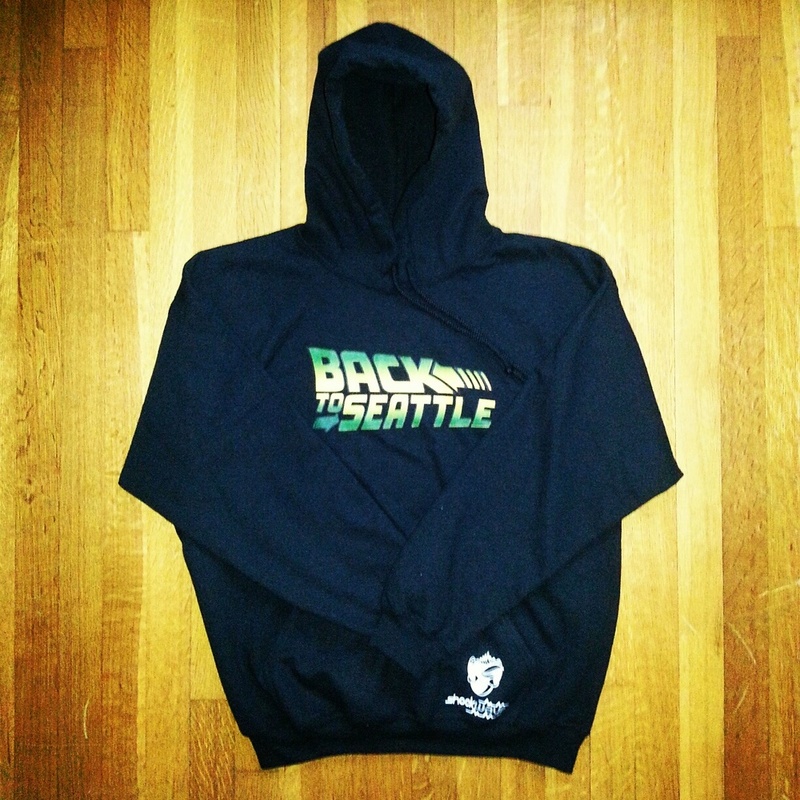 Below is another one of their original designs on a hoodie sweatshirt, be sure to check out their website… I like the play on the back to the future design as well. 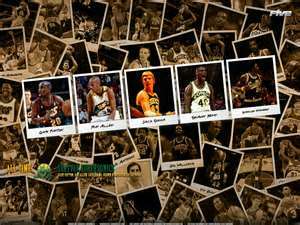 Growing up I had the pleasure of following the Sonics and their stars like Gary Payton, Shawn Kemp and even Detlef Schrempf so I hope they are able to get another team in that area.